The freedom of information act was brought into force to give the public the right to access information that is held by the government. This information also includes the right to see your own personal information under the rules of the Data Protection Act 1998. The Freedom of Information Act came into force on 1st January 2005. It gives anyone living in England, Wales and Northern Ireland the right to request information held by the government and public authorities. Scotland has its own separate Freedom of Information Act. This right to information is guaranteed for anyone regardless of their age, location and nationality. Basically, the Information Act allows the people of Britain to ask for any kind of information held by public authorities. This information can be anything that the government or public authorities hold although there are some exceptions. The Freedom of Information Act was implemented to bring about a more cultural openness. It is also intended to promote easier accountability within public authorities. The basic principal is that if there is nothing to hide from the public then why should information be kept a secret? Information can be requested from all public and government authorities. This will include government departments, the police, the armed forces and Parliament. Other bodies will include the NHS, local authorities and advisory committees. Information from these organisations should be available on request although there may be some exemptions for full disclosure of information. Personal information is protected under the Data Protection Act 1998. The Data Protection Act is a set of rules designed to protect personal information and privacy. It also allows individuals to gain access to information about themselves held by any public authority, or indeed any company that holds personal information. This information can include financial details and medical records. Personal information requests will be dealt with under the Data Protection Act and more general information will come under the Freedom of Information Act. In most cases the information provided will be free to all. However, authorities can refuse requests if it feels the cost of retrieving the information will exceed a certain amount. This amount is usually £450 for most public authorities and £600 for Parliament and central government bodies. Authorities may still provide the information if the requester is willing to pay the full cost. There are of course exemptions to some requested information. These would include valid reasons that would harm national security or prejudice certain commercial interests. Information that could lead to the disclosure of a police informant would also be an exemption. 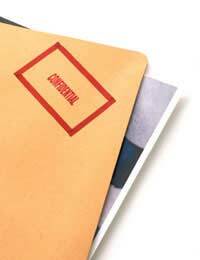 Other exempted information could include client privileges held between lawyers and clients. The Freedom of Information Act and the Data Protection Act allows for a more open society with regards to information held. Not all information is accessible to the public for security reasons. However, the right to request and access information in the UK is now a right that a great many countries do not have. Hopefully in the future these rights will be afforded to all countries throughout the world. My son who was 16 at the time was wrongly arrested following a football match and was then assulted by police officers. He faces a charge of public order however he claims he lost his hat and was trying to retrieve it. I've been told that we can request the CCTV footage from the day and the location from the local council, which would help prove what he is saying, is this true? We already have video footage of the assult.